In September 2009 Sofya Gulyak won the Leeds International Piano Competition – the first woman to achieve this distinction. Since then she has appeared all over the world to great acclaim. Her recital programmes are frequently reviewed in superlatives, and her concerto appearances with major orchestras are written up in glowing terms by the world's music press. 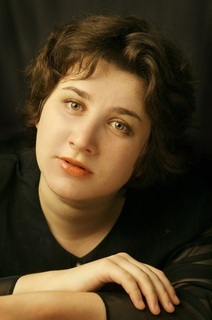 Ms Gulyak has appeared as a soloist with many orchestras including: London Philharmonic, Finnish Radio Symphony, St Petersburg Philharmonic, Rio-de-Janeiro Symphony, Royal Liverpool Philharmonic, Halle, BBC Scottish, Orchestra of Fondazione Arena di Verona, Orchestra Filarmonica di Bologna, Bucharest Philharmonic, Stavanger Symphony, Deutsche Staatsphilharmoni Rheinland-Pfalz, Ulster Symphony, Leipzig Philharmonic, Helsinki Philharmonic, Copenhagen Symphony, Orchestre National de France, Baltimore Symphony. She has played under the baton of Vladimir Ashkenazy, Sakari Oramo, Sir Mark Elder, David Hill, Donald Runnicles, Vasily Petrenko, Alan Buribayev, Eivind Gullberg Jensen, Theodor Guschlbauer, Rory McDonald, Danail Rachev, Fabio Mastrangelo, Michele Mariotti, Fuat Mansurov. Marguerite Long Piano Competition, France. Born in Kazan (Russia), Sofya Gulyak studied in Kazan, France, Italy (with Boris Petrushansky) and in the UK at the Royal College of Music with Vanessa Latarche. Her playing has been broadcast on the radio and TV in Russia, Poland, France, Italy, Germany, USA, Finland, Denmark and United Kingdom (BBC 3 and BBC 4).